Originating from Princeton University, founded in 2013, Essenlix is a transformative digital health and wellness company, that has developed an instant mobile personal diagnostic and health self-test platform - iMOST. It is based on a new paradigm originated, which is fundamentally different from that used in traditional clinical lab testing. 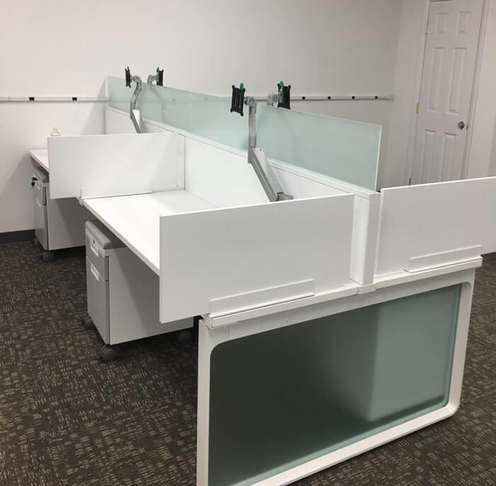 For their office in Monmouth Junction, Essenlix wanted to install cubicles in a large open space area. 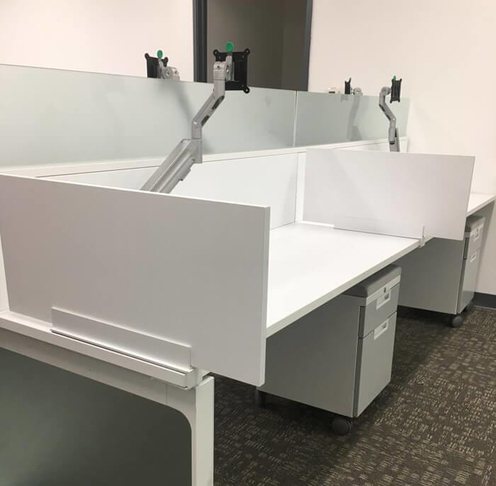 They needed the workstations to have elegant style and design, so they are not only comfortable for use by the employees, but to impress anyone who comes to visit. 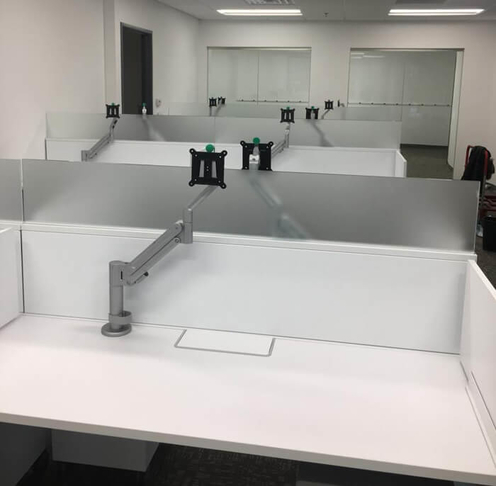 Our big challenge was to locate cubicles that were great enough for the requirements of the client. But our team did it. Now Essenlix has a fully furnished office are with workstations of high quality and looks. 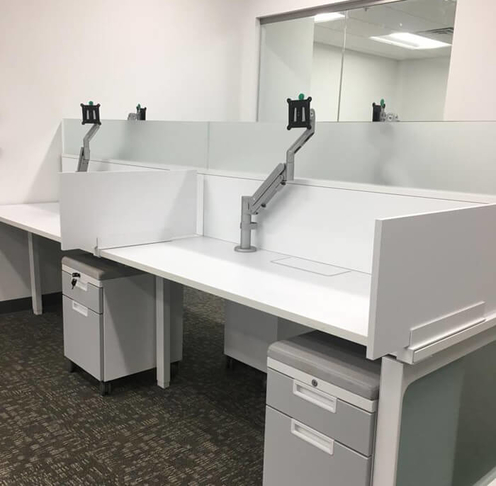 The project was completed with beautiful 2x5x60”H Teknion powered benching stations with beam mounted glass spine screens plus mobile pedestals. 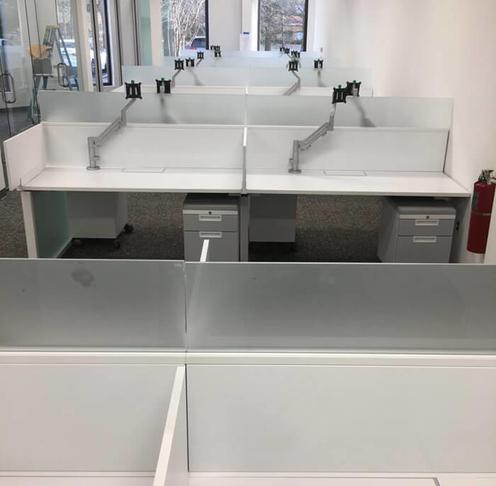 These were preowned stations that were preserved in excellent condition, carefully assembled by our design team at the location of the client.